Dynamic combo guard who plays with a chip on his shoulders and has that rare clutch gene. 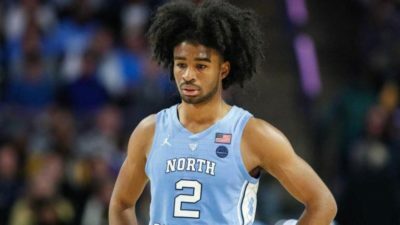 Despite Williams’ reputation for not playing freshmen, has been given the key of the team from the start and has not disappointed. Already had eleven games with at least 17pts on 40+% and at least seven attempts from three. Great size when playing the PG position which allows him to see above his defender. Decent passer with 4as per game. More of a combo than a natural PG. Poor a/to ratio, needs to work on his basketball IQ and refining his handles. As good as he can be from three, very inconsistent as he had fourteen games under 25% with at least four attempts from three. Low shooting release could be a problem against better and longer defenders. Lacks elite athleticism for the NBA.